Join Kathleen McGowan and Rev. Cynthia James in a once in a lifetime journey to the land where Mary Magdalene lived and taught: the ancient and mystical Languedoc region of France.Â Bestselling author Kathleen McGowan and globally beloved Transformational Specialist and Teacher, Cynthia James are your sisters on this journey which is designed for women only. An Urgent Lesson from "The Book of Love"
Please Note: Venus is Retrograde, and has been in a pattern since November 20th 2013, and remains in such until March 4th 2014. During this period, we have been and will continue to be forced to examine our relationships on many levels: romantic, platonic, familial. Those which no longer serve our growth or forward movement are imploding. They need to. It hurts like hell, but it must happen. Stay with me on this, there is a point to it beyond celebrating my own book. I promise. Keep reading. My favorite thing as a writer is getting feedback on my books, specific details that people respond to. I have been gifted over the years to receive tens of thousands of letters, notes, messages, etc. with this kind of delicious responsiveness. And I do mean GIFTED. It's like Christmas and my birthday combined when I receive the natural, enthusiastic responses that tell me my work has somehow impacted someone's life in a positive and forever manner. And whereas ALL of these comments mean the world to me, I have a particularly euphoric response when a man tells me that some element of The Book of Love has rocked his world. If I could issue a copy of TBOL to every man in his own language on his 21st birthday, I would do so. I truly believe that this is how important the information in TBOL is for men. And don't just take my word for it. TBOL is what caused Filip to want to be in a relationship with me after a lifetime of being single. He said often that TBOL completely altered him, it awakened him and gave him "eyes to see and ears to hear - and a heart to be heard." 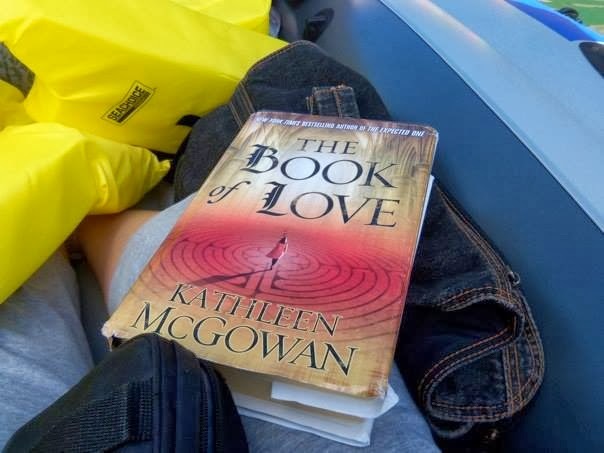 A dear friend of mine's husband says that TBOL "Changed the way he loves for eternity." This week, a wonderful and dynamic male friend of mine sent me a text to tell me that he had been reading TBOL on an airplane and he was completely blown away by a specific element. 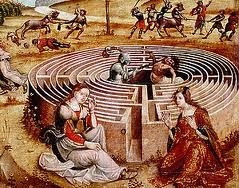 In this case, it was the legend of Ariadne and Theseus, the story of the labyrinth. Well the way that story is told in TBOL has a twist. Trust me, even if you think you know this story, you have never read it told quite like this. This version was revealed to me in a very special way and I rewrote it many times over the course of that book to get it just right. But I realized as I read his text that I had not read that segment in years - probably not since it was published in 2008. And so... I went back to read it again. "For love that is not requited in equal measure is not love at all. IT IS NOT SACRED. And holding on to the ideal of such love will keep us from finding the one that is true." Too often, we try to make a relationship work because we desperately want it to. We love so hard, so deeply, so much more than the other person in the relationship. We WILL them to love us back in the same way, but they simply cannot. They cannot, because it is not the right relationship for us. We cannot force another to love us as we love them, and that is the most painful of realizations. It is only when we are loved in return, in EQUAL MEASURE of give and take, that love evolves into the "beloved relationship." And so, my friends, during this time of Venus retrograde, if you are in a relationship where your love is not returned in equal measure, it is perhaps time to release it and let it go. Holding on to the idea of a love that is not of equals is keeping you from finding that true, bonded mating that changes the world with its depth. I know that kind of relationship intimately and was blessed to experience it, and I wish it for everyone. Was my relationship perfect? No way. It was flawed and challenging and messy in all kinds of ways, as most truly intimate relationships are. But did we love each other with equal depth and incredible commitment? We did. And THAT was what made our love epic. Do NOT settle for anything less than epic love, a love that is reciprocated, a love that gives to you as much as you give to it. I was listening to Neil Young recently and was struck by the harshness of a specific lyric, "It doesn't mean that much to me, to mean that much to you." It kind of kicked me in the teeth and made me think about whether or not I had people in my life who might think that about me - people I loved with far more commitment than they loved me in return. It was a very eye-opening and somewhat disturbing inventory, but a necessary one. But certainly, if this sentiment can be said within your most intimate relationship, you are receiving a very strong wake up call to get out and let go. Love deserves love in return, always. Open yourself to the kind of epic love that reciprocates in generous measure. Accept nothing less. You deserve to be loved in the same, "all in" kind of way that you know you are capable of loving. And every minute you settle for anything less, you are blocking your ability to know something far greater. And if you have not read this version of the Ariadne story, it may be time for you to pick up The Book of Love. Who knows where it might take you?